NO TO THE JCRC’s SUPPORT FOR NYC POLICE COMMISSIONER RAY KELLY! | Jews Say No: Not In Our Name! NO TO THE JCRC’s SUPPORT FOR NYC POLICE COMMISSIONER RAY KELLY! 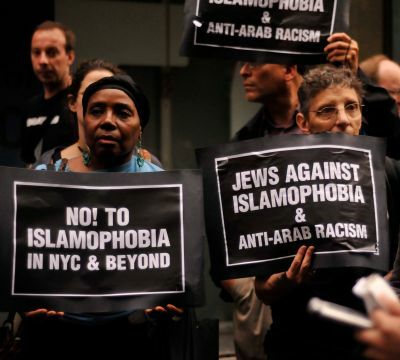 Jews Say No!, Jewish Voice for Peace, and Jews for Racial and Economic Justice (Jews Against Islamophobia) speak for many Jewish New Yorkers in condemning the Jewish Community Relations Council’s (JCRC’s) support for Police Commissioner Ray Kelly. The president, executive vice president and CEO, and associate executive director of the JCRC of New York recently published a statement in The New York Jewish Week called “The Case for Ray Kelly.” They have nothing but praise for Commissioner Kelly. • about an NYPD program—under Commissioner Kelly’s watch—that targets people based on their religion and ethnicity? • about the NYPD’s spying on mosques and Muslim-owned restaurants and other businesses? • about the NYPD’s violating the civil rights of the Muslim community? • about the NYPD’s infiltrating and surveilling Muslim student groups at colleges in five Northeast states? • about a Mayor and a Police Commissioner who insist that they have not wronged New York City’s Muslim community? • about an NYPD that showed this anti-Muslim propaganda film to nearly 1,500 police officers during their training? We stand with the Muslim community and with a wide range of Muslim and other community leaders who have condemned the NYPD for its targeting and surveillance of the Muslim community and called for Ray Kelly’s resignation. This entry was posted on March 22, 2012 at 10:56 am and is filed under Uncategorized. You can follow any responses to this entry through the RSS 2.0 feed. Both comments and pings are currently closed.